The 4 x 8' Pebbles Vinyl Tackboard from Best Rite is a tackboard constructed of pebbled vinyl that is fabric-backed for stability and durability. The pebbled texture helps to hid pinholes. 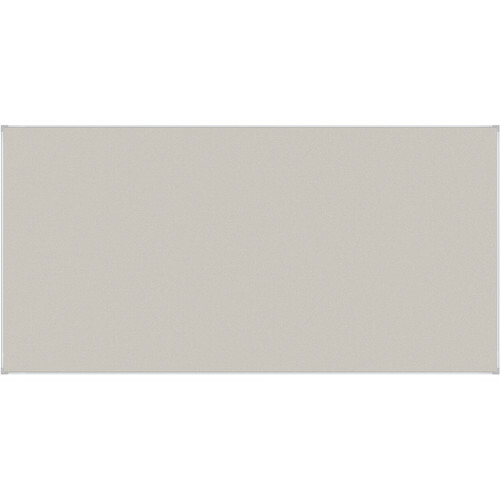 A low profile, silver 0.31" anodized-aluminum trim provides a modern, clean-lined board. This tackboard has GREENGUARD GOLD certification. Box Dimensions (LxWxH) 62.0 x 53.0 x 4.0"